DENVER, USA -- A commercial U.S. satellite company said it has captured a photo of China's first aircraft carrier in the Yellow Sea off the Chinese coast. 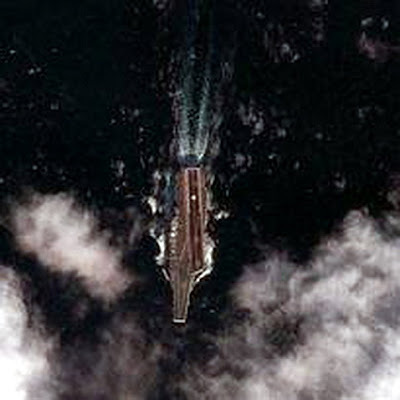 This Dec. 8, 2011 satellite image provided by the the DigitalGlobe Analysis Center shows the Chinese aircraft carrier Varyag sailing in the Yellow Sea, approximately 100 kilometers south-southeast of the port of Dalian, China. DigitalGlobe Inc. said Wednesday one of its satellites photographed the carrier on Dec. 8. A DigitalGlobe analyst found the image on Tuesday while searching through photos. Stephen Wood, director of DigitalGlobe's analysis center, said he's confident the ship is the Chinese carrier because of the location and date of the photo. The carrier was on its second round of sea trials at the time. A Pentagon spokesman didn't immediately respond to a request for comment. DigitalGlobe, based in Longmont, Colo., sells satellite imagery and analysis to clients that include the U.S. military, emergency response agencies and private companies. DigitalGlobe has three orbiting satellites and a fourth is under construction. The aircraft carrier has generated intense international interest because of what it might portend about China's intentions as a military power. The former Soviet Union started building the carrier, which it called the Varyag, but never finished it. When the Soviet Union collapsed, it ended up in the hands of Ukraine, a former Soviet republic. China bought the ship from Ukraine in 1998 and spent years refurbishing it. It had no engines, weaponry or navigation systems when China acquired it. China has said the carrier is intended for research and training, which has led to speculation that it plans to build future copies. Beijing is believed to be years away from being able to launch and recover aircraft from it as part of a carrier battle group.